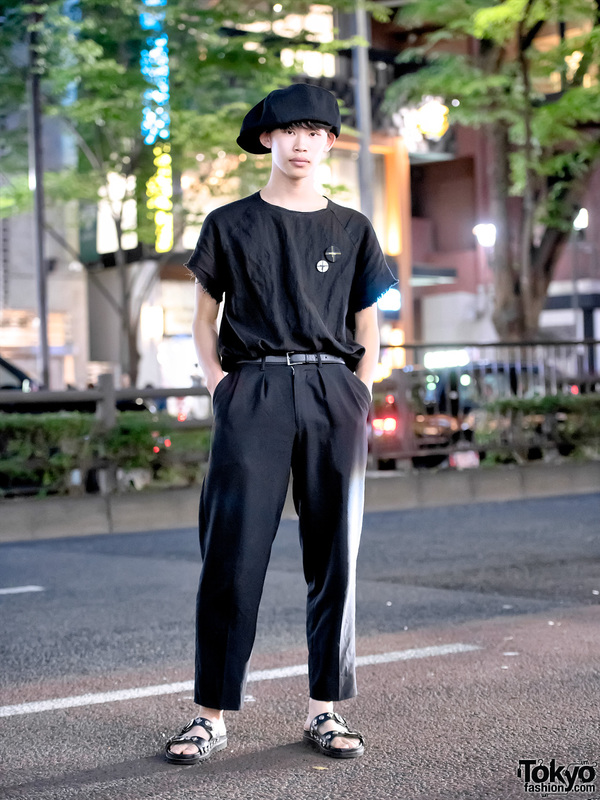 Japanese student with a long in the front hairstyle wearing minimalist fashion by several Japanese brands as well as a vintage bucket bag. 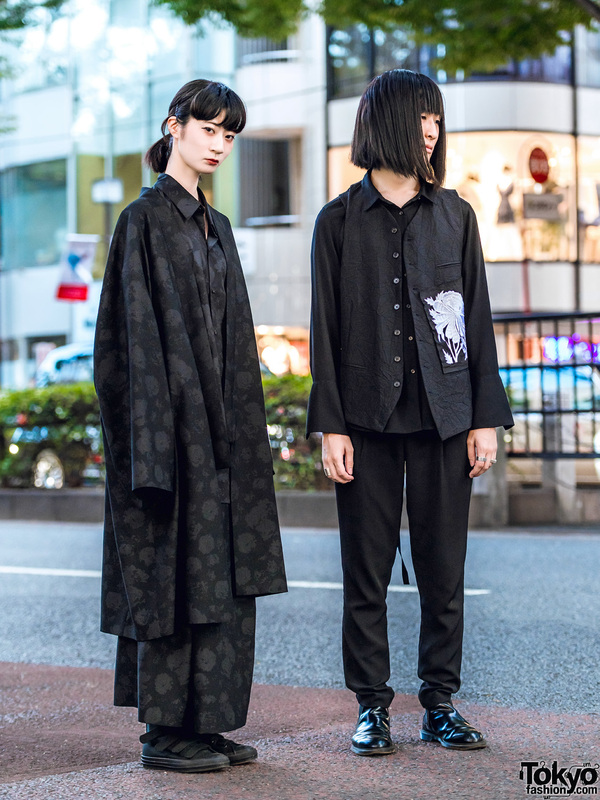 Minimalist all black Japanese street fashion featuring pieces by Lad Musician in Harajuku. 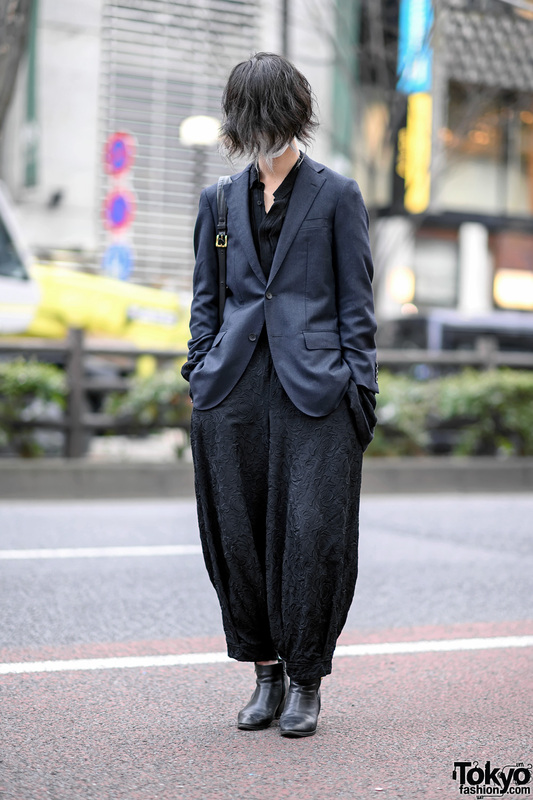 Japanese fashion model wearing a minimalist monochrome street style featuring Yohji Yamamoto designs in Harajuku. 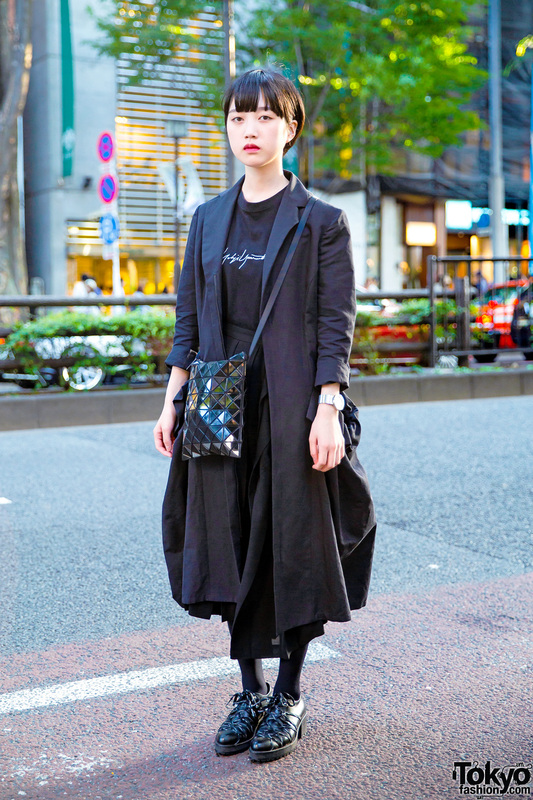 Harajuku girl in a minimalist street style with a jumpsuit, boots, and purse. 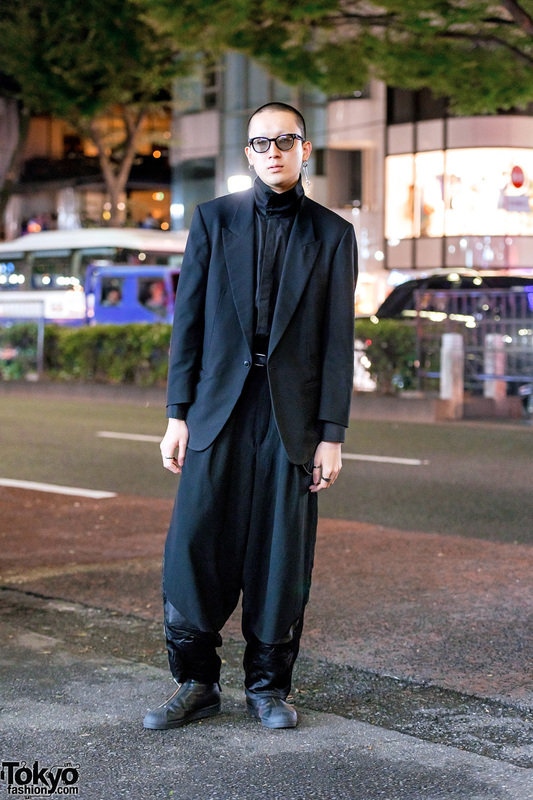 Minimalist Japanese street style with Yohji Yamamoto, Junya Watanabe, Comme Des Garcons, and Issey Miyake. 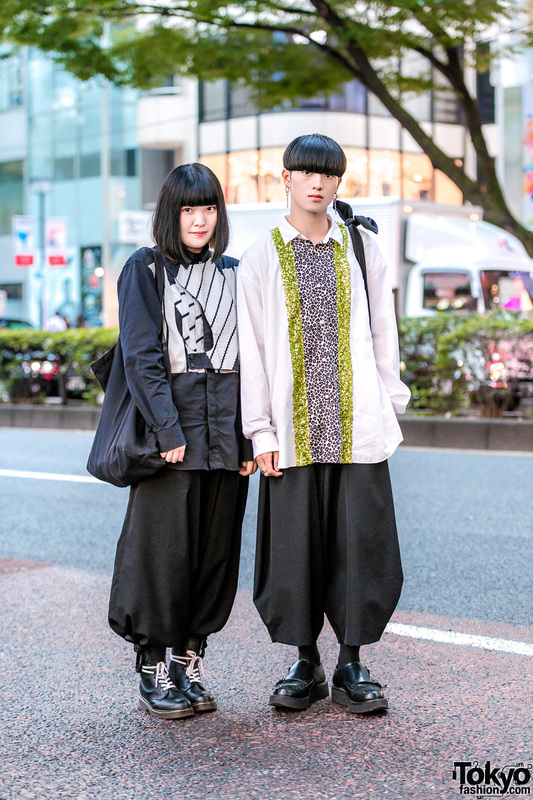 Japanese fashion/Beauty college student in Harajuku wearing a minimalist ensemble while out and about on the street.